As leader of the American Board of Pediatrics (ABP) staff and a member of the non-profit organization's Board of Directors, Dr. Nichols actively promotes high quality health care for children by upholding the standards of certification in pediatrics, and by encouraging and facilitating initiatives in quality improvement. Although he assumed his new leadership role in late 2012, he has been associated with the ABP for more than 20 years. He is board certified in general pediatrics and is board certified and maintaining certification in pediatric critical care medicine. Dr. Woods is responsible for initial certification in both general pediatrics and its subspecialties. She provides oversight for the development of training standards, the tracking and evaluation of residents and fellows, initial certification and credentialing. 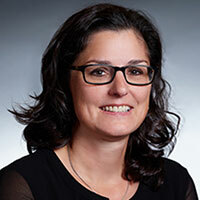 In addition, she oversees the development of the certification process for new subspecialties, and serves as the ABP’s liaison to a number of organizations with common interests in graduate medical education and workforce issues. She also serves as a member of the ABP Board of Directors. Dr. Woods joined the ABP staff in January of 2018 (after serving at Duke as the combined medicine pediatrics residency program director and section chief). Dr. Woods is board certified and maintaining certification in general pediatrics and general internal medicine. Dr. Althouse oversees the test development and psychometric activities for the ABP assessment products. This includes, but is not limited to, practice analysis, item development, scoring, standard setting, statistical analysis, and evaluation of measurement properties with a focus on ensuring the validity and reliability of the final product. 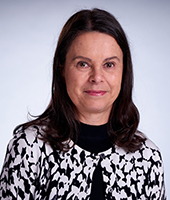 She is also active in collaborative projects involving innovative assessment approaches, lifelong learning, and the next generation of continuous professional development models for physicians. 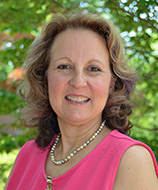 Her doctorate is in educational psychology with a concentrated focus on measurement and assessment. Dr. Carraccio oversees the design and development of the ABP’s competency-based assessment initiatives. 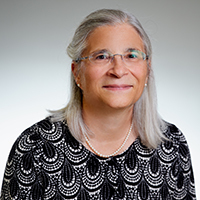 She works with members of the pediatrics community as well as other organizations involved in medical education to develop and test models and tools that will help advance trainee assessment. Her work centers around the integration of “Entrustable Professional Activities” (EPAs) with core competencies and milestones, providing a comprehensive framework for making decisions about learners’ readiness to advance. Current research studies involve longitudinal reporting of trainee performance, using levels of supervision scales leading up to entrustment, for the pediatrics EPAs. She is board certified and maintaining certification in general pediatrics. Ms. Gainey is the senior leader of staff resources in service to the American Board of Pediatrics’ mission, values, strategic goals and objectives. As such, she leads the ABP’s recruitment, retention, employee relations, and professional development efforts, as well as being responsible for the development, implementation, and maintenance of the organization’s policies and practices. She is also a key driver in working across the organization to align individuals and teams within departments, as well as inter-departmentally, to maximize the achievements of the Board. Ms. Hazinski leads all accounting, finance, tax, and treasury functions of the ABP and ABPF, including developing and monitoring the annual budget; preparing internal and external financial reports and tax returns; developing the long-range financial forecast; overseeing all short and long-term investment activities; managing high level employee benefit programs and managing the organization's comprehensive insurance and risk management programs. She works closely with the Audit, Finance, and Long-Term Investment Committees of the ABP Board of Directors to make strategic decisions regarding finances and ensure that the ABP has the resources needed to carry out its mission. Dr. Leslie facilitates and oversees all research, evaluation, and other special initiatives funded by the ABP Foundation. She maintains her position as Professor of Medicine and Pediatrics at Tufts University School of Medicine. 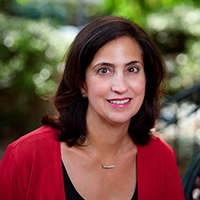 She has extensive research experience in the areas of identifying, treating, and delivering health services to children and adolescents with medical, developmental, and mental health needs. Dr. Leslie also has worked with a number of pediatric initiatives to improve the future of physician training and practice, with the ultimate goal of improving outcomes for children and adolescents. Dr. Leslie is board certified and maintaining certification in developmental-behavioral pediatrics. Dr. Mann oversees the continued development and implementation of the Maintenance of Certification (MOC) program for the ABP. 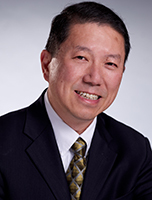 He provides expertise in health care quality, lean methodology, patient safety, evidence based medicine, and education. 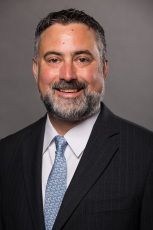 Dr. Mann joined the ABP staff in November 2018 after serving as the Vice President, Chief Medical Quality and Safety Officer at Children’s Mercy – Kansas City. He was also a Vice Chair for Quality and Safety in the Department of Pediatrics and a Professor of Pediatrics at the University of Missouri – Kansas City. He is board certified and maintaining certification in general pediatrics. Ms. Wall integrates and manages the ABP's operational policies, objectives, and initiatives to ensure the effective and timely implementation of decisions made by the President and Board of Directors. She has led the effort to develop and implement the Privacy Management Program and is the Privacy Officer for the organization. She works with strategic partners on special projects. In addition, she oversees contract management, facilities, support center, and computer based testing for the organization. Mr. Zhang leads the ABP's information technology systems and strategies. As the ranking technologist, he provides IT governance, leadership, and management. He also determines the strategic goals and objectives of the IT organization, aligned with the ABP's overall business mission and plan. He leads the ABP's IT Applications and IT Technical Services, seeking ways to employ information technology to advance healthcare, and assure the public that standards of excellence are in place to evaluate the knowledge, skills, and training of pediatricians.